This lightweight, silicone-free oil is formulated with an exclusive blend of five curl-loving oils that help provide shine, moisture and enhance curls with a frizz-free finish. Bottom line: Your curls will be obsessed. On clean, wet hair, apply Leave-In Decadence. Follow with High Shine to seal in moisture and finish with SuperCream for hold and added moisture. 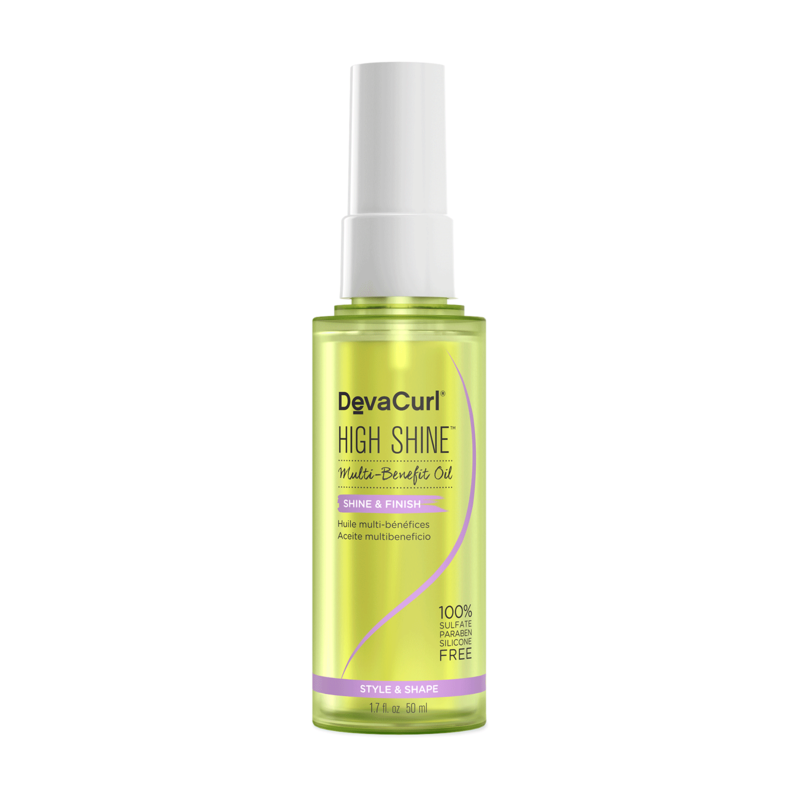 Apply High Shine to dry hair as the ultimate finisher. Use on day two and beyond to refresh and add shine.